Could the long wait for iRadio be coming to an end? Apple's iAd man in the UK has been briefing advertising agencies on the inner workings of the iTunes Radio platform suggesting a launch on these shores may finally be on the horizon. According to a tweet sent by Hannah Allen, the head of marketing at OMD UK, her firm was paid a visit by Paul Wright who manages Apple's advertising platform from a London base. She tweeted: "Great to see @paulwright66 back at @OMD_UK to take us through Apple's iAd and iTunes Radio - can't wait for that to hit UK!" Despite calls from fellow Twitter users for her to reveal the precise launch date, Miss Allen is yet to follow up the tweet. 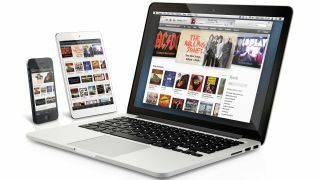 The iTunes Radio launch in the UK has been awaited since Apple rolled out the free, ad-supported streaming platform to US users alongside iOS 7 in September 2013. Apple had pledged an early 2014 launch across the pond, but aside from the occasional appearance on random devices in the UK, it is yet to make it's official bow. Surely now we can't be far away. What price the announcement of a UK roll-out at WWDC in June? Is Apple planning a radical iTunes overhaul?